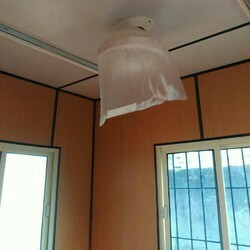 Pioneers in the industry, we offer portable office cabin, office portable container, porta office container, ms portable cabins, site office container and site office portable cabin from India. Manufacturer of a wide range of products which include Portable Office Cabin such as Designer Portable Office Cabins, Modern Portable Office Cabin, Portable Office Cabin, Luxury Portable Office Cabin, Portable Cabins and MS Portable Cabin. 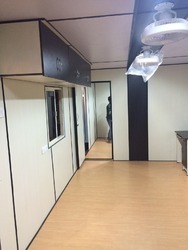 Manufacturer of a wide range of products which include Office Portable Container such as Designer Portable Office Cabins, Modern Portable Office Cabin, Portable Office Cabin, Luxury Portable Office Cabin, Portable Cabins and MS Portable Cabin. 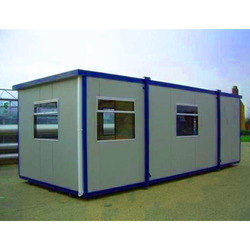 Coated with epoxy zinc phosphate primer and synthetic epoxy paint, the offered MS Portable Cabins for Construction Site have external opening type main doors. 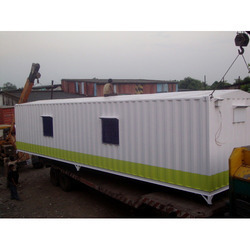 In conformity with the clients assorted needs, requirements and demands, these offered cabins are developed making use of top grade material which is well checked on certain factors before final delivery. Moreover, their sturdy construction and fine finish makes these highly demanded. 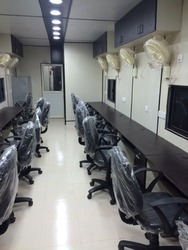 Being a client-centric organization, we are engaged in offering a wide range of Designer Portable Office Cabins.